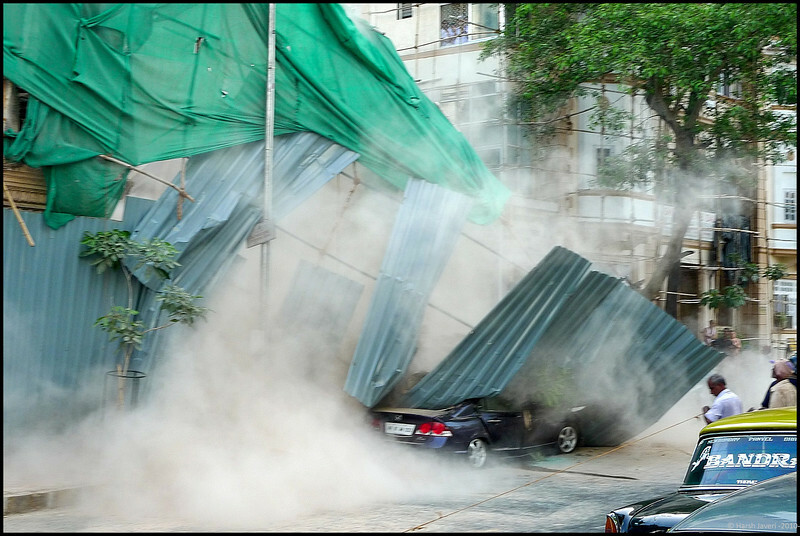 Continuing from yesterday's shot when a part of the wall and corrugated tin sheets crashed on a Honda Civic, within minutes some loose portions came tumbling down on the already buried car. Shot on Leica D-Lux 4 - no alterations. Incredible catch, I hope no one was hurt. yikes! talk about timing,,,yours, not theirs! what a moment to capture ! Wonderful action shot. I'm glad to hear no one was seriously hurt. Ohmigosh! This is a fabulous moment captured. The dust is wonderful. I know this isn't a good time for those concerned, but what a fantastic shot!